Enpedia.net - Today, many people start a business on eBay. They become online sellers. However, recently eBay makes policy for the seller that limits the selling. Of course, it is frustrating. However, you do not need to worry. You can call them to increase the limit of selling. Is it the only way to increase it? 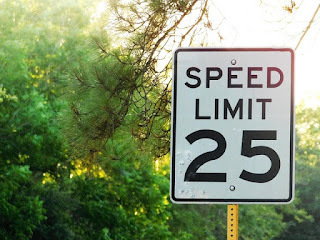 There are some other ways how to increase selling limits on eBay without calling. If you want to know more about it, you need to pay attention to the following discussion below. For new eBay sellers, there are some limits that you have to know. They include account-based, category-based, and item-based limits. The limits protect buyers from unscrupulous scammers or sellers. These selling limits affect new accounts only with less than one and a half month selling history. However, it also depends on the items or products, feedback level, and your DSR. The limitation relates to active items for sale, gross merchandise volume, and sold items. It means, they are the number of latest listing & sold items and the total value of sold items. Anyway, we have to know how to improve selling limits on eBay without calling. What Does Account-based Allowance Mean? This is based on the general activity & also the status of your account. Commonly, it is for new sellers on eBay, and it is set at ten items/month or 650 pound sterling in sales. However, it can depend on particular circumstances. Usually, it is based on the account age, the items sold, and the performance of selling like the feedback levels & DSR ratings. There are some ways how to increase eBay selling limits without calling. However, calling them is the easiest way that you can do. You just need to call them and explain that you have been a seller for a long time, have good feedbacks, and other reasons. Then, you specifically ask the improvement of selling limit. However, you have to make sure that your account meets some requirements. Firstly, your account should have got first positive feedback over 90 days ago. Besides, you are a seller who does not have unresolved problems. Another requirement is to have minimally 4.8 DRSs in all areas. The new policy from eBay forces the new sellers to be restricted in the sale of items. They maximally sell ten items in a month or 650 pounds sterling in sales. However, as the time goes, your selling limits will be increased automatically. It is also affected by other factors such as good feedbacks, DRS rating, etc. 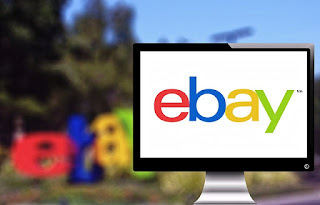 However, if your selling limit is not raised yet after a long time, you can try the following ways how to increase selling limits on eBay without calling. You should pay attention to the following tips and understand them all. As we know, a new account will be limited in selling for ten items only per month. However, it will be one of the simplest ways how to improve eBay selling limits without calling by creating many accounts. For example, if you have five accounts of eBay, you can sell five times as many items. Creating a new account on eBay is not difficult. So, the more accounts you have, the more items you can sell. It also happens to the limitation of price in selling. This is the second way that you can consider. However, it is not recommended. This tactic has a high risk of getting caught. What I mean is to shill feedback. You can give feedback with other accounts you have. However, you have to make sure that you use different IP address. You can create some accounts designed for buying only. This tactic is not recommended, but it can help you get enough good feedback before a month. So, before you try this tip, you have to consider the risk carefully. If you hesitate with it, you can try the next idea. Sometimes, the selling limits do not relate to the items in all the categories. If you got a warning message about selling limits, you could try creating some new categories. I will give you an example. If you sell T-shirt in casual clothing category, you can make some list of different categories such as sporting goods, men shirts, etc. We cannot guarantee that it will always work, but it often works well. We have proven this many times. So, you can try this method of how to increase selling limits on eBay without calling now. You cannot avoid negative feedbacks. However, there is a good way to solve it. If you got negative feedbacks, you could email them personally to ask forgiveness. You promise to refund their money as soon as possible, but they must delete their negative feedbacks. If they do not do that, you can block & then report them to the feedback extortionist lists. So, other sellers will also block them. Anyway, you have always to give your best services to the buyers. Technically, this method is not allowed by eBay. However, you can use original description to provide other details. For example, you can offer other sizes, colors, etc. If there are customers who are interested, you ask them to transfer money to your own PayPal account directly. One of the considerations that make eBay think to increase your selling limits is the up to date factor. You should pay attention to the live discussions, forum, etc. It will be beneficial. Therefore, this tactic can be considered as one of the best ways how to increase selling limits on eBay without calling. You can also combine all tips above.